I have been compensated by QVC, but all thoughts and opinions are my own. 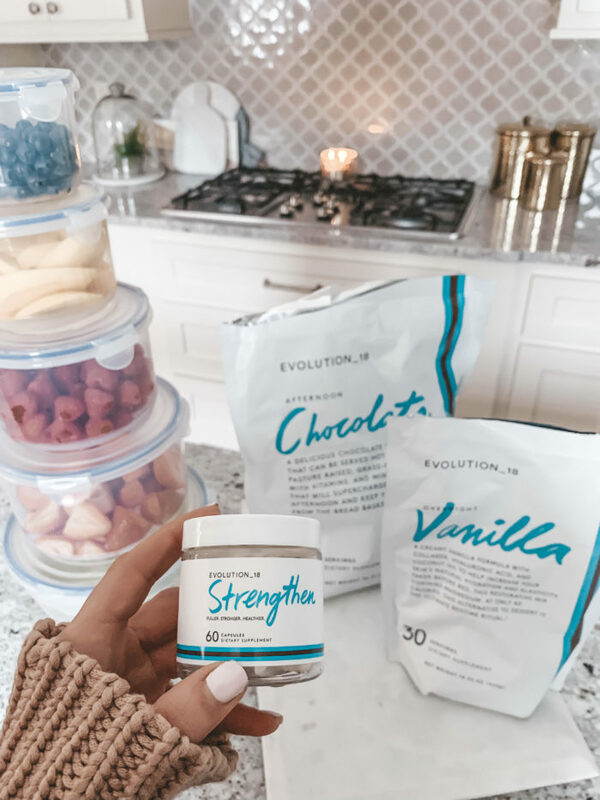 If you’re trying to get 2019 off to a healthy start, today’s post is right up your alley. When it comes to wellness and making time for working out, I try to think of it as more of a lifestyle. There’s no question building new habits can be tricky, so to help anyone who might want to create a healthier lifestyle, I’ve put together five tips that I’ve found to really make a difference for me. I hope this is useful and gets you started on your new year’s goals! Every Sunday I like to prep some healthy options to have on hand all week. Getting new storage containers helps so much! I have these plastic ones and these glass ones from QVC and love them. I recently donated all my old ones and started fresh. This motivates me to do meal prep and make it a weekly habit. 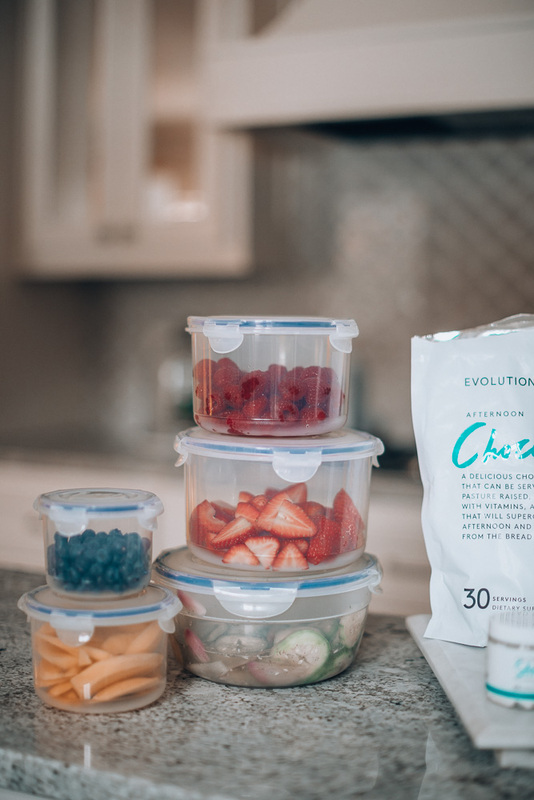 If you’re not into cooking full meals for the week every Sunday, you can also just prep any ingredients you might need for cooking throughout the week. This way anything you might need to chop or soak is ready to go. I usually wash and clean all my fruit for the week – this also makes it easy for when getting meals ready for the kids. We also make a big batch of chicken and or ground turkey so we have a healthy cooked protein ready to go to make healthy meals. When you have veggies, proteins, and fruits all prepped and ready to go then you are more likely to make healthy choices when eating! Pack your bag for the gym the night before so you don’t have any excuses in the morning. This way if the kids take extra time or if you sleep a little longer, your bag is packed and ready to go! 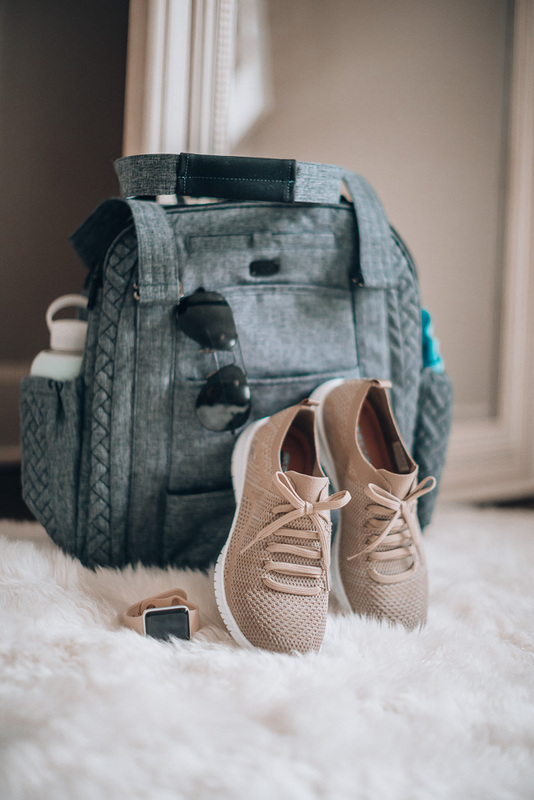 I love this gym bag because it can double as a carry on when traveling. With so many pockets and zippers, it can hold everything you need. And if you’re in the market for a good pair of sneakers, you can never go wrong with this pair – you get such a good deal on QVC! The trick to beating cravings is finding healthy alternatives that still satisfy. 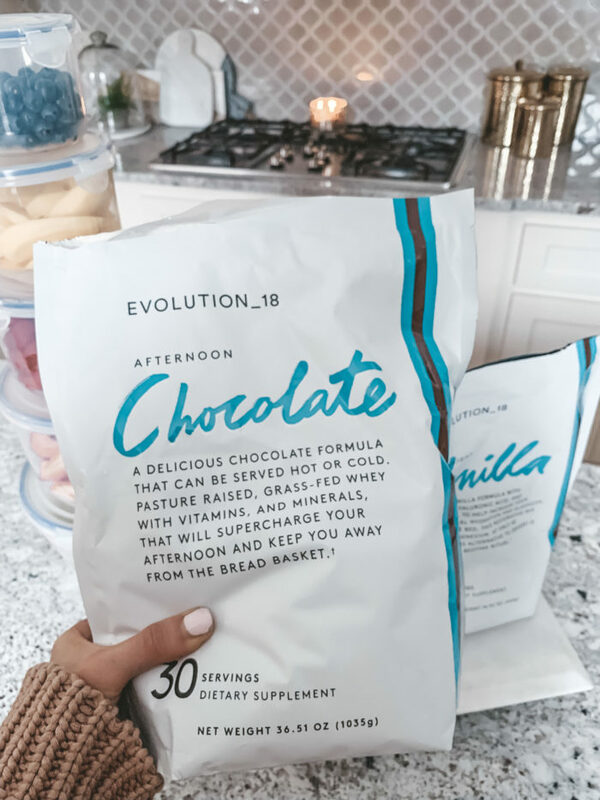 This chocolate protein powder is perfect for making protein balls or bars during your Sunday meal prep and it tastes so good. Or, if you’re into collagen, try this. 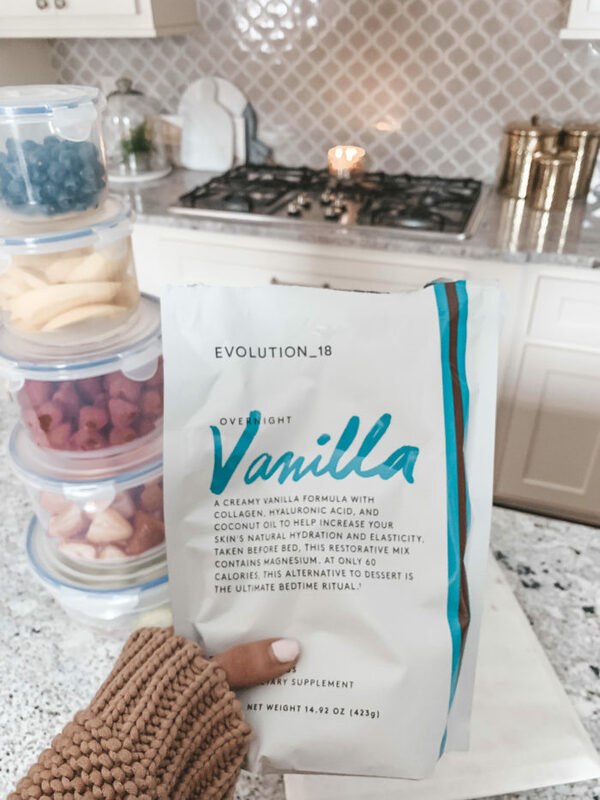 I love having the Vanilla collagen when I start to feel sluggish or hungry in the afternoon and it holds me over until dinner. I’m a big fan of tracking my workouts. This way I know how many calories I burned and how active I was for the day. If this is something you want to start doing, I highly recommend the apple watch. I think the key to really making a lifestyle change is doing small things to take care of yourself on a daily basis. Things like taking a vitamin, drinking enough water (this water bottle is so cute) and brushing your teeth twice a day (have you tried an electric toothbrush?) really make a difference and will help you feel so much better. Hopefully, these tips don’t sound too overwhelming. If they do, start by incorporating one per week and building up to doing all of them. You got this!